You are here:Home / Posts tagged "app"
The superyacht social media team here at Global Superyacht Marketing helped YACHTNEEDS give away over €11,000, worth of INCREDIBLE gifts for captains, crews and their yacht, for the 12 days leading up to Christmas 2016. Prizes were kindly donated by some of the leading businesses and suppliers in the industry and the giveaway was one of the most successful Christmas promotions ever seen in the yachting sector. Selflessness – Although YACHTNEEDS organised this epic giveaway. It wasn’t just about them or their brand. Marketing focussed on the companies who had donated the prizes, and not on promoting the YACHTNEEDS app. Consistant social media – YACHTNEEDS and the Global Superyacht Marketing team work year round on maintaining a great social presence. This makes sure the posts that really matter are seen by all the right people. Great prizes – There really were some amazing prizes in this competition. The YACHTNEEDS team turned down several prize offers and made sure every prize was worth winning. YACHTNEEDS were able to provide valuable social interactions with exactly the right target audience and here are the prizes and the yacht crew that won them to prove it. DAY 1 – Xanthe Rose Bean Laird won a two hour live music session by the extremely talented SONOR DJs. – www.vimeo.com/183845711. Day 2 – Hanna Vallberg won a luxury transfer provided by MTF Luxury Transport – https://www.youtube.com/watch?v=Q6Yf32JucqY , and a massage by Yaël Fadloun for an hour and a half of Reiki, therapeutic or Japanese massage. DAY 3 – Zoe-Amber Purves won a full days access to the 5 star spa at the Odéon Spa Sisley in Monaco including a 30 minute massage. DAY 5 – Tristan Richard Mortlock won a Gusto Box from Maison del Gusto, and a consultation and facial from the Guinot, L’Institut Elegance worth over €300. DAY 6 – Katie Hunt won herself some choice sunglasses by Maui Jim worth $350, supplied by Yacht Chandlers. Plus the team at Aweigh-Fitness are giving Katie a consultation with a personalised plan along and a 1.5 hour training session. DAY 8 – Richard Joe Scales won aFitBit flex from Global Marine Communications, and a subscription to the Joe Wicks Bodycoach 90 day SSS plan (www.thebodycoach.com/90daysss.asp) from Top Coat UK Yacht Painting. DAY 9 – Jon Juriga has won a high tech Algae Protector from H2O Boatcare US, Inc, worth $3399. Also a box of PurafyAir gel to eliminate mildew and mould supplied by TNS Yachting, the boutique Yacht Supply Company. DAY 10 – Brian Schmidt won an outrageously cool deck fridge/freezer worth $8000 from Frigibar Industries, Inc.
DAY 12 – Japie Weideman won the main prize which was an awesome SUP from FunAir worth over $1000 and shipped with its own pump and backpack for easy storage. To find out more about how to run successful social media competitions and giveaways in the superyacht sector, email web@globalsuperyachtmarketing.com. Fear not… The YACHTNEEDS app has pulled it out of the bag…again! Introducing YACHTNEEDS JOBS, a new feature on the most successful superyacht app of 2016. Launched today, you can find a comprehensive, geo-located list of all the best yachting jobs out there, where crew can apply for every single job, from all the best agencies, captains and private crew agents just by clicking apply on the app. 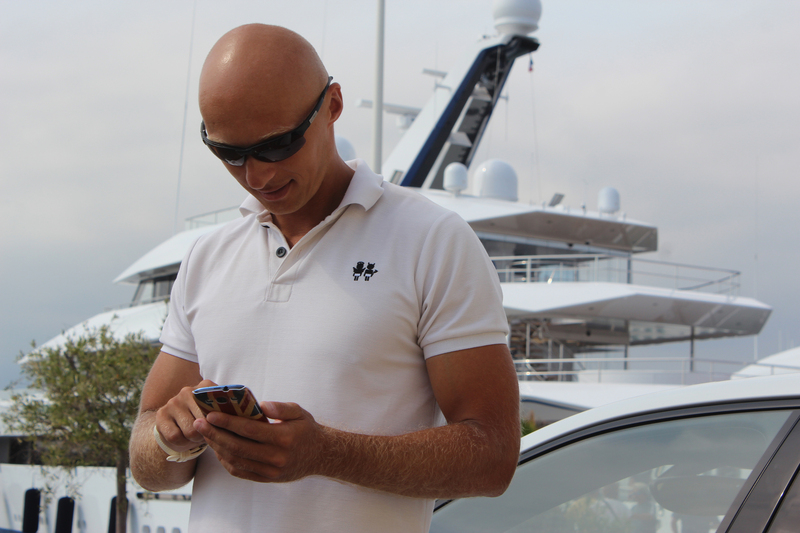 Crew need to make sure their YACHTNEEDS profile contains their professional information, and then they can apply for all the jobs in one great place on the app. There is even a video resume option where crew can record a 30 second introduction video to really catch recruiter’s attention! One place to update, one list of jobs to manage and one click of a button to apply. Genius! If you are a crew placement expert, you’ll want your jobs in the pockets of thousands of crew globally. With YACHTNEEDS JOBS its simple. Send YACHTNEEDS an email and they will set you and your recruiters up with their own personal login to the back-office of the app. There you can post a job in less then 20 seconds and have it live and in the pockets of thousand of crew within 30 seconds. Plus this service is completely free, no fees or monthly costs at all. With 100% access to your very own back-office you can manage all jobs and applicants in one place and have your company logo attached to each job. You will then receive full user profiles, professional descriptions, images, video resumes and full contact details for the applicant. CAPTAINS – If you would like to advertise any jobs, completely free of charge, simply log onto www.yachtneeds.net, post the position you would like to fill and YACHTNEEDS will approve it for you. Update, or download YACHTNEEDS, free on Apple and Android today. 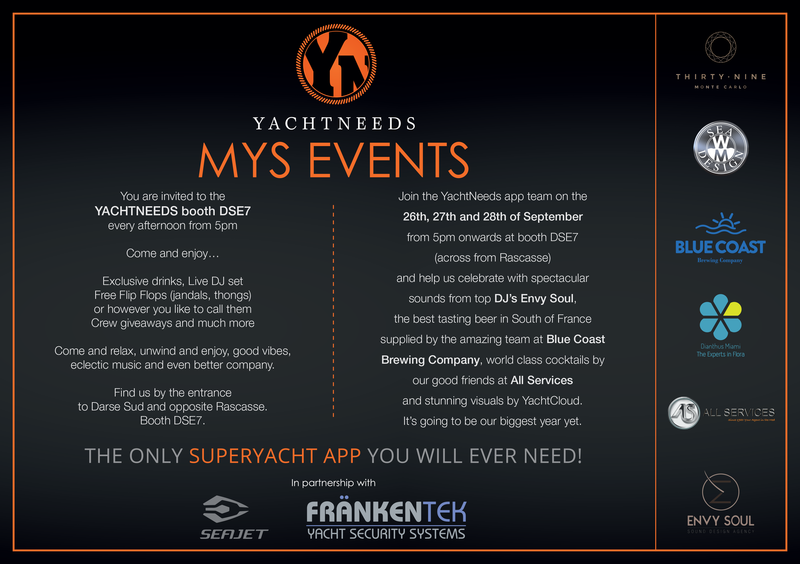 YACHTNEEDS – The only superyacht app crew will ever need. One of the best parts of working with YACHTNEEDS is the important job of sitting in a local bar in the evening, listening to friends talk about the good and the bad parts of their yacht crew lifestyle, and then working out how the app can make the bad bits better and the good bits fanbloodytastic. By far the most popular topic of conversation in the last few months has been how time consuming and annoying it is to add your CV and details to all the different recruitment websites out there. Plus if you get some short-term work you then have to update every single website again. Apply for superyacht jobs on the YACHTNEEDS app with one click. Of course all this becomes worth it when you score your next amazing superyacht job… but, we get it. It ruffled our feathers too, so we’ve done something about it! The next new feature to be added to YACHTNEEDS app is going to be the YACHTLIFE button. 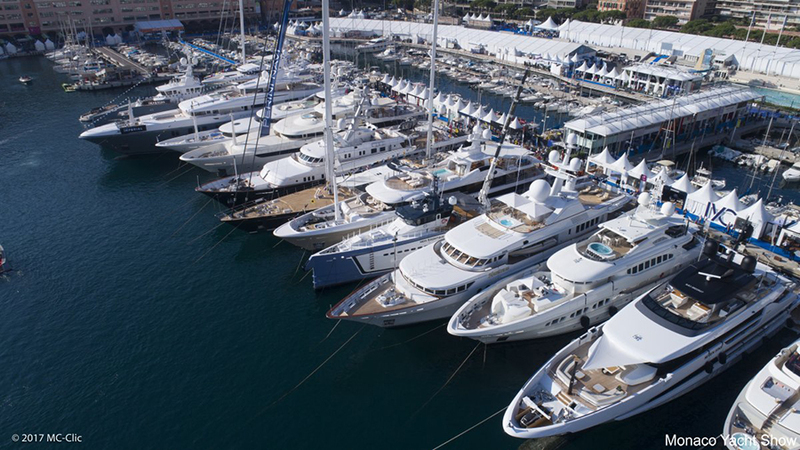 In this section they will have all the latest superyacht crew jobs currently available. Users can apply for the jobs with one click and the photo and details they have put in to their YACHTNEEDS profile will make up a personal application for those roles. All jobs will have a 15-20 day expiry date so will stay current, the crew agent or captain that posted the job can then use the chat function on the app to chat directly to potential candidates who apply, or choose to email them directly. And that’s not all… The ‘cherry on the cake’ function for this new section of the app is being kept under wraps for the moment; but rest assured they plan to revolutionise what crew have to do to apply for their next yacht job, and it will all be up and running ready for the start of the US/Caribbean season… Exciting times ahead! Leading superyacht app YACHTNEEDS are looking for 12 yacht crew members of all ages, shapes and sizes who would like to earn some extra cash for a 1/2 day photoshoot in Antibes in a couple of weeks time. They need a good mix of different yacht crew and it will be a simple shoot with some crowd shots around the marina and the beach. They’ve already had an great response to this request but need lots of variety for this shoot. So please get in touch, especially if you don’t fit the usual image of a yacht crew member. Big crazy hair or beard, great! Tattoo’s… love them! Tall, short, young or older, please let YACHTNEEDS know if you are available. Easy work for easy money! If you are interested please email YACHTNEEDS with a face pic via app@yachtneeds.net and they will send you all the details. We are all fans of the one stop right? Well the guys behind superyacht apps YACHTNEEDS and YACHTCHAT have waived their technical magic wand and combined both apps into one totally comprehensive superyacht hub. Made by crew for crew, YACHTNEEDS superyacht services app and social sister app YACHTCHAT have already made their mark in the industry since officially launching at the beginning of this year. 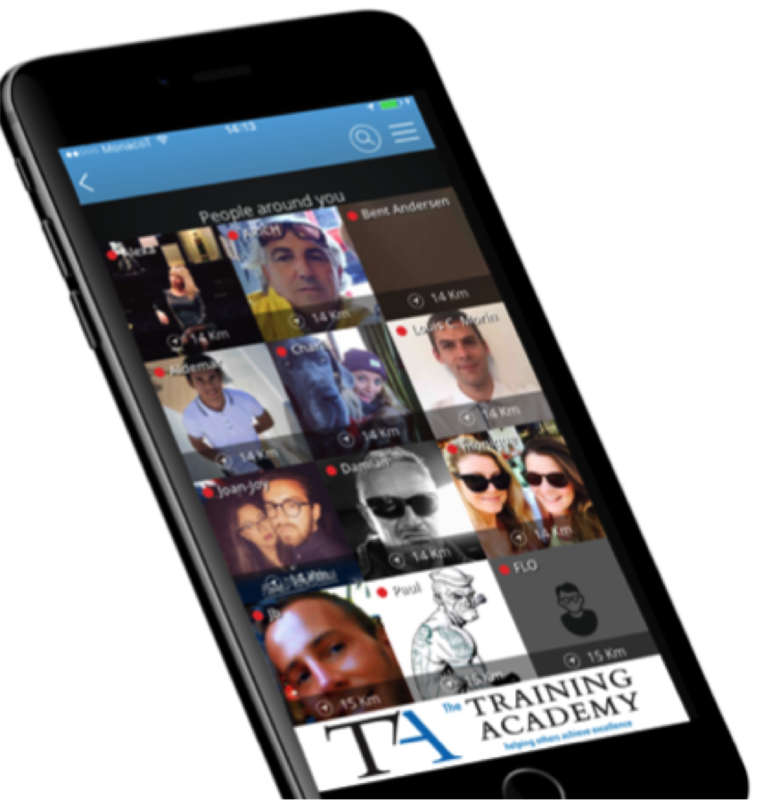 In just five months the apps have been used by 18% of the people employed in the yachting industry, and now get over 6000 daily visits! As of today users can update YACHTNEEDS, go to the CHAT and find the social side of YACHTCHAT where you can chat live with other yacht crew, find day work in your local area and find out about crew parties and events wherever you are. In the very same app you can also go to the MAPS and find geo-positioned suppliers and services for literally anything you might need. From local taxis, directions to the shop and transport links; to contacts for the finest provisioners, chandlers and guest experiences out there. The new combined app has had a facelift and is sleeker, sexier and the search function has gone supersonic…. So supersonic you can even use voice recognition (great if you don’t know how to spell something!). You can search for ports, businesses, categories and individual keywords, so if you need to know the best restaurant in your next port of call you are just a quick search away. More great news for Android users because the new YACHTNEEDS is also available through Google Play stores and can be downloaded via this link. It’s the little things that really make a difference and improvements such as logging in via Facebook, being able to turn the chat function on or off, easy links to all the social media platforms for each supplier or service and the new deals button in every port really do make the app worth using on a daily basis for crew. Where else could you search for the port you are in or the next one you will be visiting and find all the discounts, deals and special offers companies have on for superyacht crew and guests. Basically this app will improve your social life and save you hours and hours of googling. Double thumbs up if you ask us.